The world is nothing but change. None of the pieces that time has lost (singularity, direction, independence, the present, continuity) puts into question the fact that the world is a network of events. On the one hand, there was time, with its many determinations; on the other, the simple fact that nothing is: things happen. The absence of the quantity “time” in the fundamental equations does not imply a world that is frozen and immobile. On the contrary, it implies a world in which change is ubiquitous, without being ordered by Father Time; without innumerable events being necessarily distributed in good order, or along the single Newtonian time line, or according to Einstein’s elegant geometry. The events of the world do not form an orderly queue, like the English. They crowd around chaotically, like Italians. They are events, indeed: change, happening. This happening is diffuse, scattered, disorderly. But it is happening; it is not stasis. Clocks that run at different speeds do not mark a single time, but the hands on each clock change in relation to the others. The fundamental equations do not include a time variable, but they do include variables that change in relation to each other. Time, as Aristotle suggested, is the measure of change; different variables can be chosen to measure that change, and none of these has all the characteristics of time as we experience it. But this does not alter the fact that the world is in a ceaseless process of change. The entire evolution of science would suggest that the best grammar for thinking about the world is that of change, not permanence. Not of being, but of becoming. We can think of the world as made up of things. Of substances. Of entities. Of something that is. Or we can think of it as made up of events. Of happenings. Of processes. Of something that occurs. Something that does not last, and that undergoes continual transformation, that is not permanent in time. The destruction of the notion of time in fundamental physics is the crumbling of the fist of these two perspectives, not of the second. It is the realization of the ubiquity of impermanence, not of stasis in a motionless time. Thinking of the world as a collection of events, of processes, is the way that allows us to better grasp, comprehend, and describe it. It is the only way that is compatible with relativity… On closer inspection, in fact, even the things that are most “thinglike” are nothing more than long events. The hardest stone, in the light of what we have learned from chemistry, from physics, from mineralogy, from geology, from psychology, is in reality a complex vibration of quantum fields, a momentary interaction of forces, a process that for a brief moment manages to keep its shape, to hold itself in equilibrium before disintegrating again into dust, a brief chapter in the history of interactions between the elements of the planet, a trace of Neolithic humanity, a weapon used by a gang of kids, an example in a book about time, a metaphor for an ontology, a part of a segmentation of the world that depends more on how our bodies are structured to perceive than on the object of perception—and, gradually, in an intricate knot in that cosmic game of mirrors that constitutes reality. The world is not so much made of stones as of fleeting sounds, or of waves moving through the sea. If the world were, however, made of things, what would these things be? The atoms, which we have discovered to be made up in turn of smaller particles? The elementary particles, which, as we have discovered, are nothing other than the ephemeral agitations of a field? The quantum fields, which we have found to be little more than codes of language with which to speak of interactions and events? 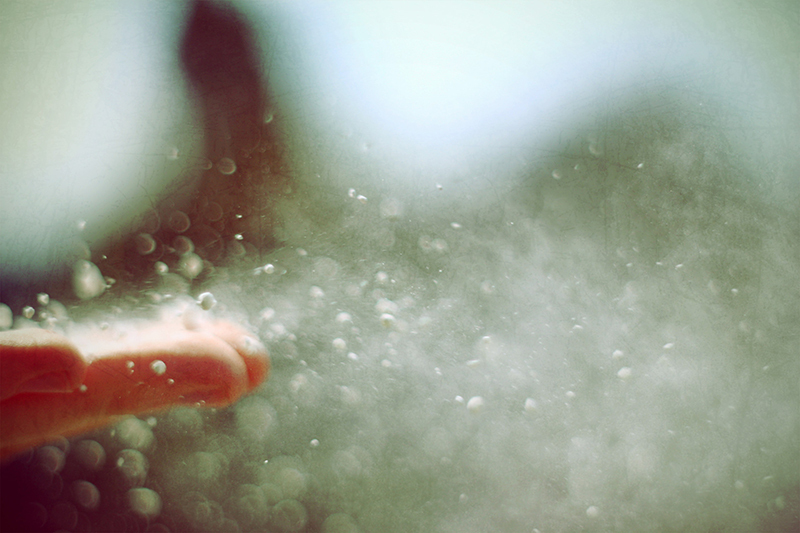 We cannot think of the physical world as if it were made of things, of entities. It simply doesn’t work. 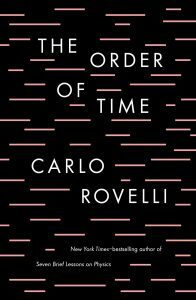 Carlo Rovelli is an Italian theoretical physicist, the head of the quantum gravity group at the Centre de Physique Théorique of Aix-Marseille Université. He is one of the founders of the loop quantum gravity theory and author of the international bestseller Seven Brief Lessons on Physics. *All of the excerpts on my website are from books that have stayed with me for some reason—because the concept was awe inspiring, changed how I view the world, was beautifully expressed, or all three. ‎I personally curate all of the book excerpts and always obtain the author’s approval before posting their work.